Good. 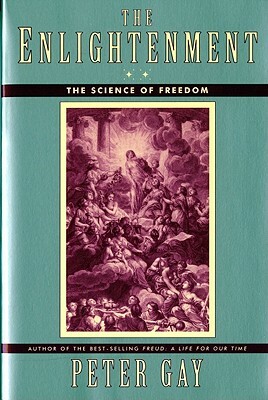 The second volume of Peter Gay's in-depth study of the dawn of the modern world-the Age of Reason. Trade paperback (US). Glued binding. 744 p. Enlightenment an Interpretation. Volume 2. This is an ex-library book and may have the usual library/used-book markings inside. This book has soft covers. In fair condition, suitable as a study copy. Volume 2. This is an ex-library book and may have the usual library/used-book markings inside. This book has hardback covers. In fair condition, suitable as a study copy. No dust jacket. Re-bound by library. Volume 2. This is an ex-library book and may have the usual library/used-book markings inside. This book has hardback covers. In poor condition, suitable as a reading copy. No dust jacket. Re-bound by library.